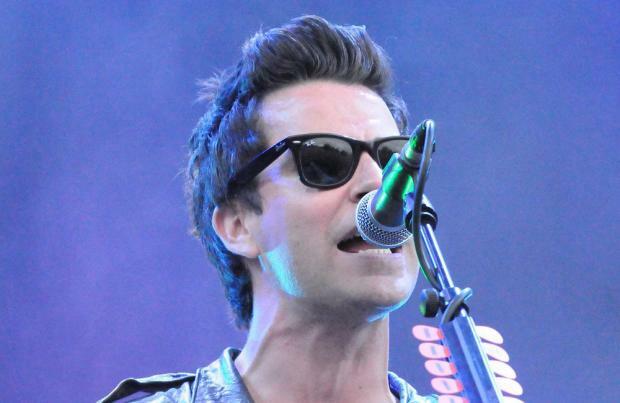 Stereophonics have announced their new album will be called 'Scream Above The Sounds'. The Welsh rock group have been hard at work on their follow-up to 2015's 'Keeping the Village Alive' for the best part of a year and frontman Kelly Jones is relieved they've completed it, joking that he was worried he would be "ancient" by the time it gets released. Taking to Twitter to unveil details of their 10th LP, they wrote: "We are delighted to announce our new album #ScreamAboveTheSounds. Pre-order now from http://stereophonics.com. (sic)"
Speaking to Radio X about the record, Kelly, 43, said: "This has been finished about 11 months, so I'll be glad when it gets out, as otherwise I'll be ancient." The album includes lead single 'All In one Night', which the Kelly wrote when he was stranded in a hotel in China. The 'Maybe Tomorrow' hitmaker also explained that the record has an array of different sounds on there. He said: "There's a lot of different songs on the album, lot of different styles of songs on the album. I think it's quite an uplifting record, you know. "But this song particularly I wrote in a hotel room in China, we were stuck there for a day before we had to get a flight home." Stereophonics hit the music scene in 1997 with 'Word Gets Around', but it was their second album 'Performance and Cocktails' in 1999 that catapulted them into the limelight with hit singles 'The Bartender and the Thief', 'Pick a Part That's New' and 'Just Looking'.